Sparkle in the Kenzie evening gown, glamorously framed by a structured over-skirt. 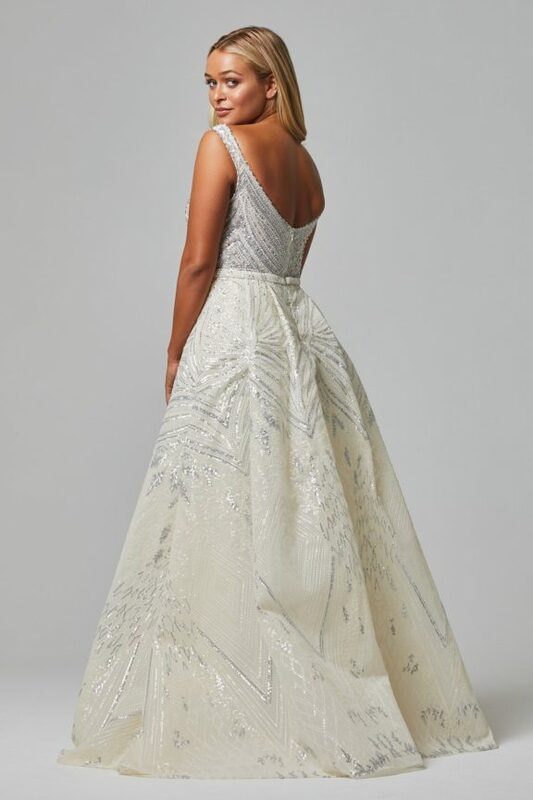 A classic vintage-inspired piece, the Kenzie evening gown is head to toe sequin beading. This stunning detailing is then continued through a structured over-skirt.